Matching up with the ever increasing requirements of the customers, our company is engaged in providing Merceriser Machine. 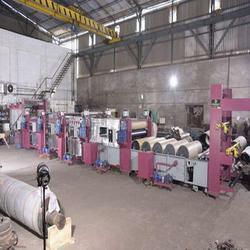 This machine is special used for mercerizing the cylinder type cotton, cotton & polyester weft knitted fabric to improve luster, sizing percentage and strength. Perfect impregnation & stabilization followed by recuperator & wash boxes. - Suitable to handle 600 to 3400mts. fabric width in single pass. - Wider width also available on request. 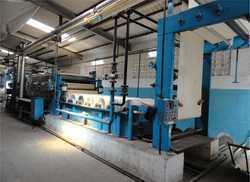 - Smaller width of fabric can run side by side for higher production. - Superimposed of smaller width of fabric can run side by side for the below 100 gsm. weight of fabrics. Being an eminent organization in the industry, we are involved in providing a premium quality range of Mercerize Machine. Continuous Chainless Mercerising Machine is revolutionizing the textile industry in a big way. Bearing less Big- dia . S.S Buoyant bottom Drum allows full immersion of fabric with 100% more impregnation of caustic and forms, uniform wedge across full fabric width .